Tips on painting - Here are some tips to help make your job a little easier for painting your home. A beautiful custom paint job will look good for years and will make you feel good as well! 1. WALLS – living rooms, dining rooms, bedrooms, etc. I recommend using a flat or matte finish on the walls. Do your prep work between coats to make tedious, boring prep work way easier and more thorough (and actually fun). 2. TRIM – use a primer that “works with all finishes” in latex or oil. Caulk any gaps between wall and trim with “painter’s caulk”. Top coat your primed woodwork and trim with latex or oil base enamel. 3. KITCHEN CABINETS – prime painted surfaces with primer that “works with all finishes”. Top coat with latex or oil base enamel paint. Satin enamel is my favorite. Before priming, use some 220-grit sandpaper to clean up and smooth out the old finish. 4. STRIPES ON WALLS – use “blue painters tape” to get a nice sharp line or edge. Do the lighter colors first and add the darker stripes afterwards. 5. PANELING - prime first with primer that again, “works with all finishes”. Fill gaps with painter’s caulk. Top coat with regular wall paint or an enamel finish. 6. CEILINGS – white ceilings look great. Using the same color on the ceiling that is on the walls makes it look like an apartment. I use “ceiling paint” which is a dead flat (cuts down on glare and roller marks) in normal rooms. For kitchens and bathrooms where you need washability. I recommend using something that can be washed like an eggshell or satin finish. Use a flat ceiling paint on all ceilings except in bathrooms and kitchens. For those rooms use a washable paint like a matte, eggshell or satin finish. 7.) ONE-COAT COVERAGE – one-coat coverage is a myth. It is advertising hype. In all my years as a painter I know that one coat will not look as good as two. Besides many times you have to prime first anyway or you will see skipped areas. Two coats will insure a nice even, solid finish. 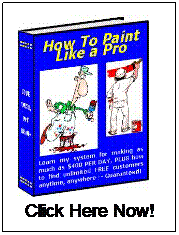 Go Here For More Professional Tips on Painting. 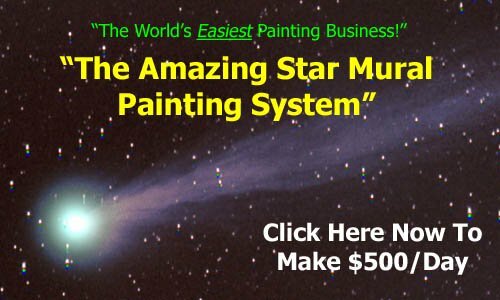 Enjoy this article about tips on painting? Go here for more handy tips.